I absolutely love making dinner in the crockpot! It’s easy and doesn’t use up a whole lot of electricity and clean up is a breeze! 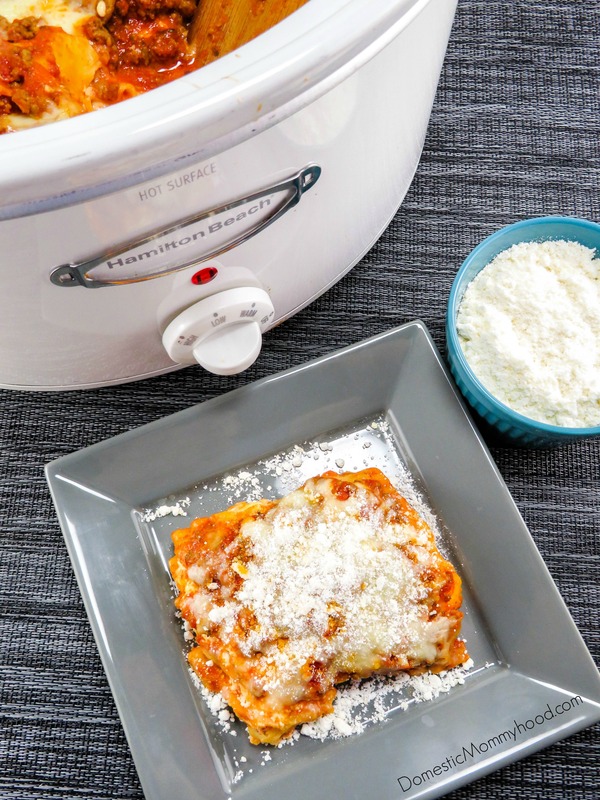 This easy Crockpot Lasagna is just as good, if not better than what you make in the oven! Try it, you will love it! I used the Hamilton Beach 8 Quart Crockpot with this recipe. It’s affordable and comes with a strap to hold the top down making travel a breeze! Lasagna is great for pot-lucks but you really don’t want Lasagna spilled all over the floor board of your car!! We also own the Hamilton Beach Stay or Go Slow Cooker. That one actually has a lid that clamps on… it’s a must have!! If you are looking for crockpot recipes here are a few to get you going. Crockpot cooking is always included in our meal planning for the week and leaves me tons of time for more important tasks like hugging the kiddos and reading with them. Now onto our feature recipe, Crockpot Lasagna!! 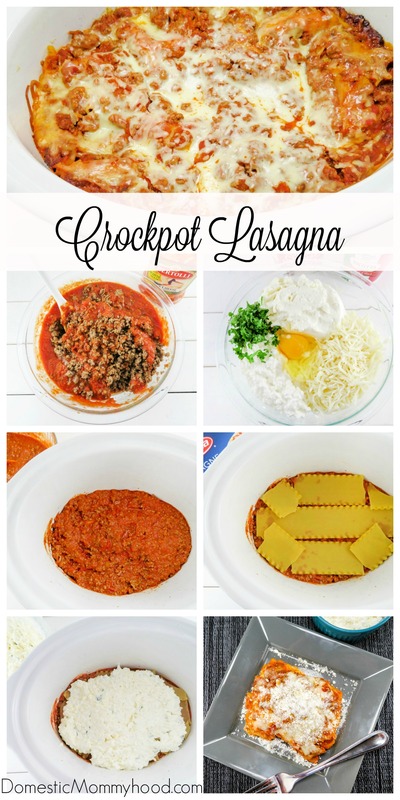 Below you will find the printable version of my Crockpot Lasagna recipe!! We are trying to move all of our recipes to this type of format. If you find a recipe on my site that does not have a printable version, please leave me a message so I can get it changed for you! add spaghetti sauce, plus ½ cup water. (If you like it saucier then add additional spaghetti sauce). In a separate medium size bowl, mix the ricotta cheese, cottage cheese, egg, parsley, garlic, and 2 cups of the mozzarella cheese. I hope you enjoyed today’s easy dinner recipe! !